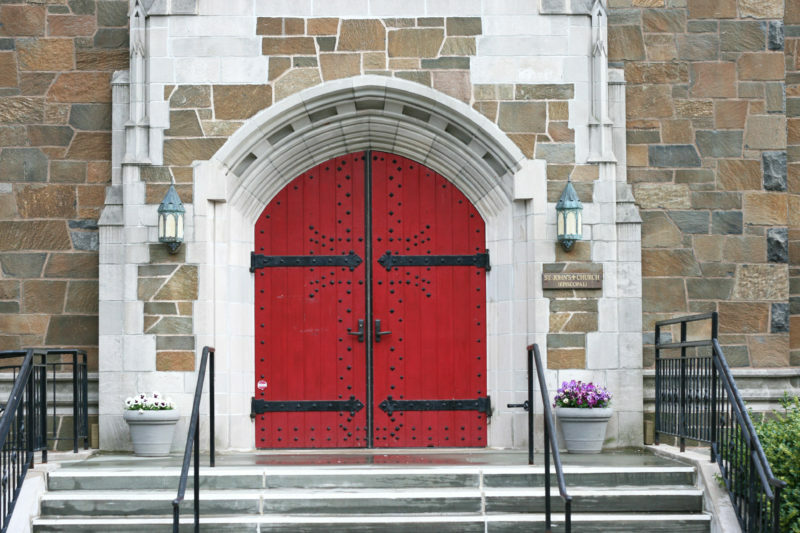 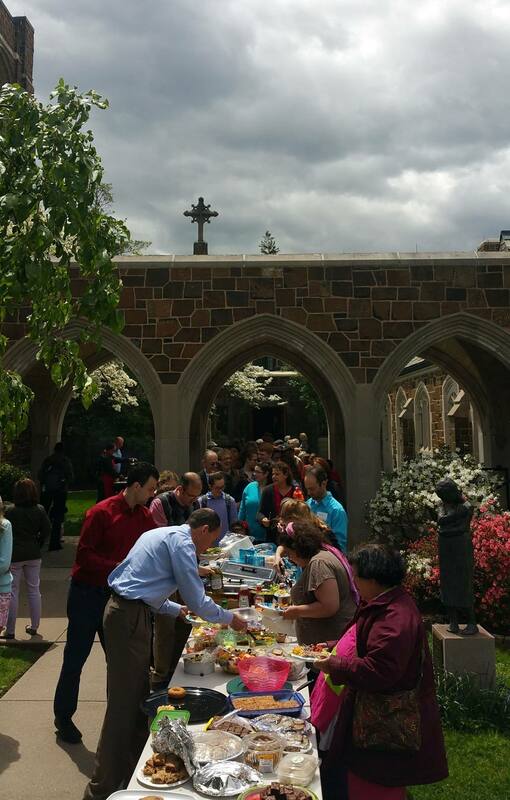 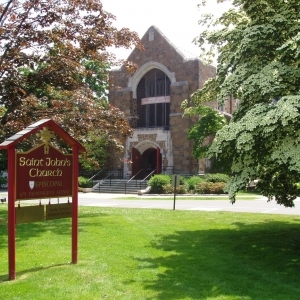 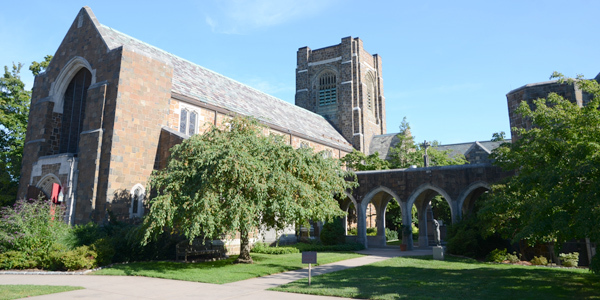 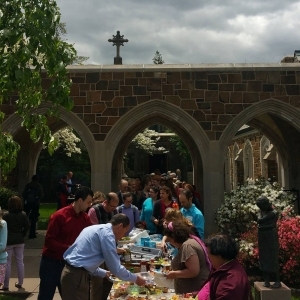 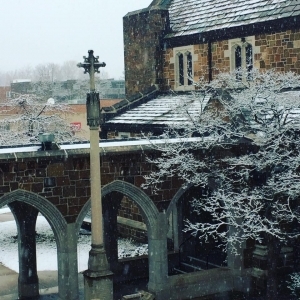 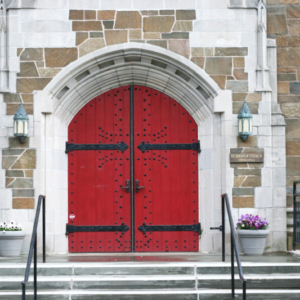 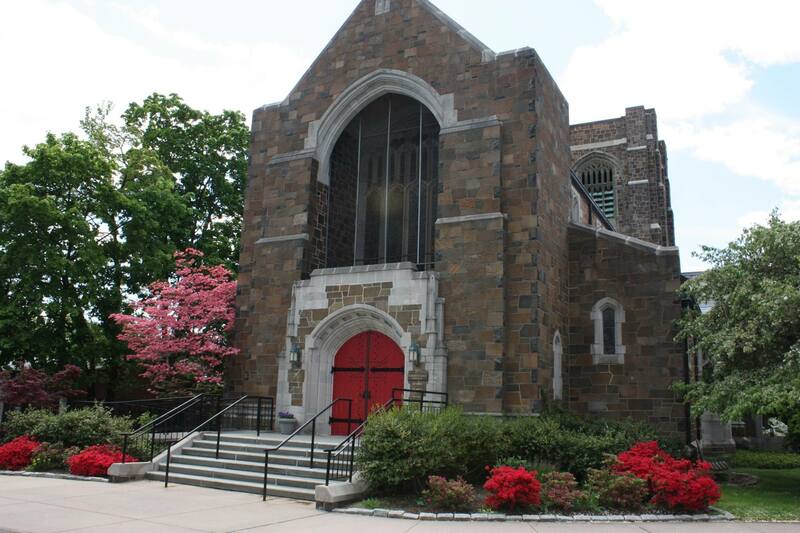 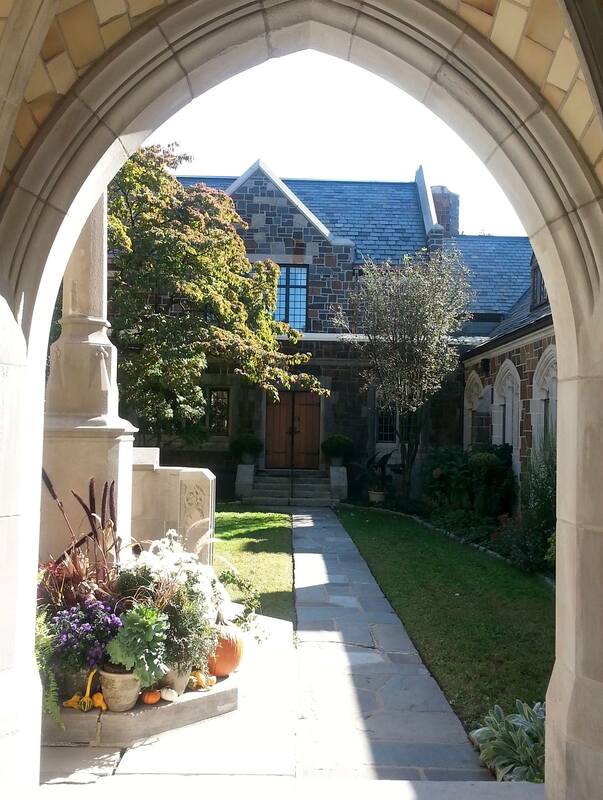 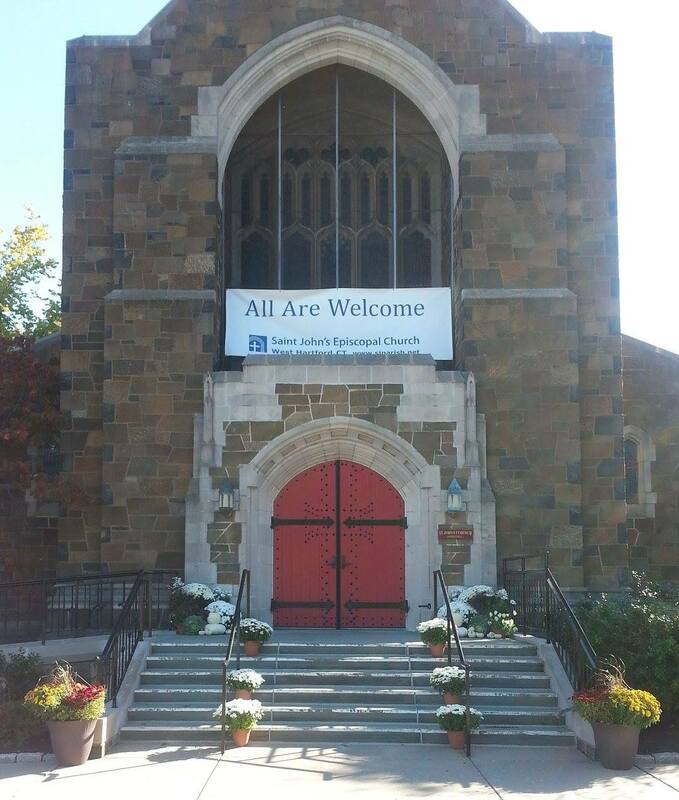 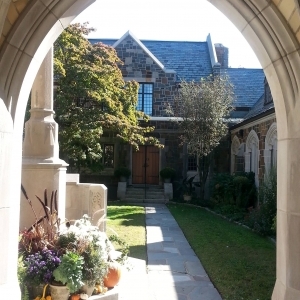 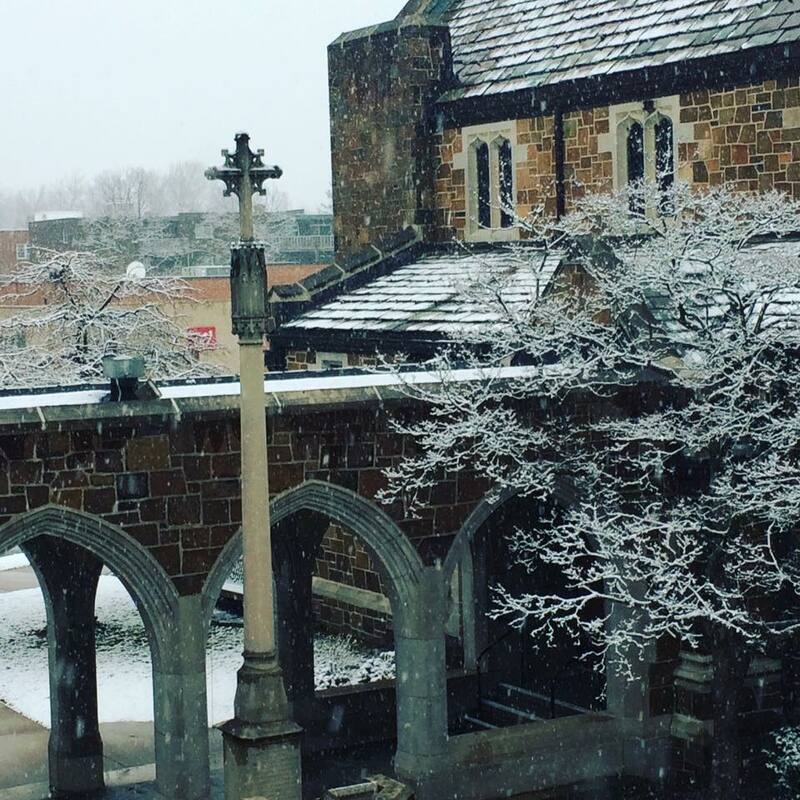 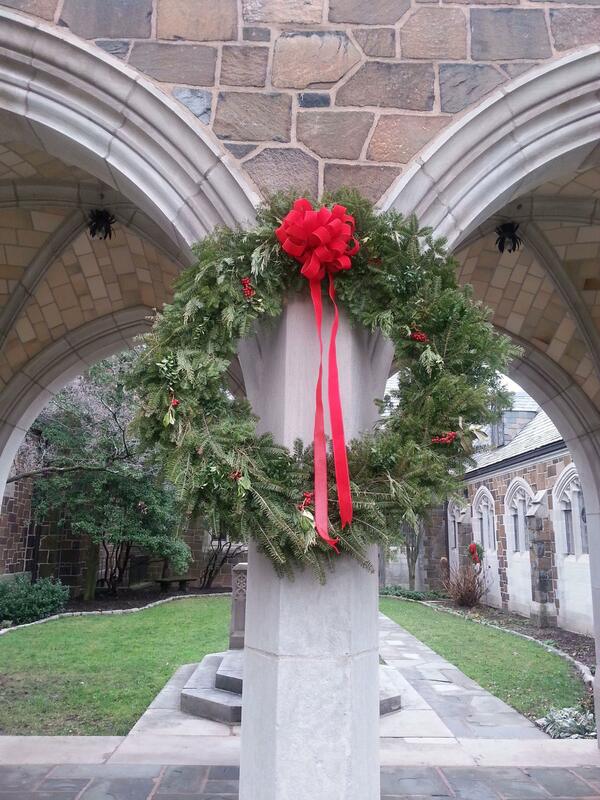 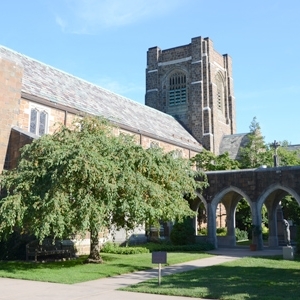 The architectural space of St. John’s Episcopal Church has been an important fixture in our community for decades. 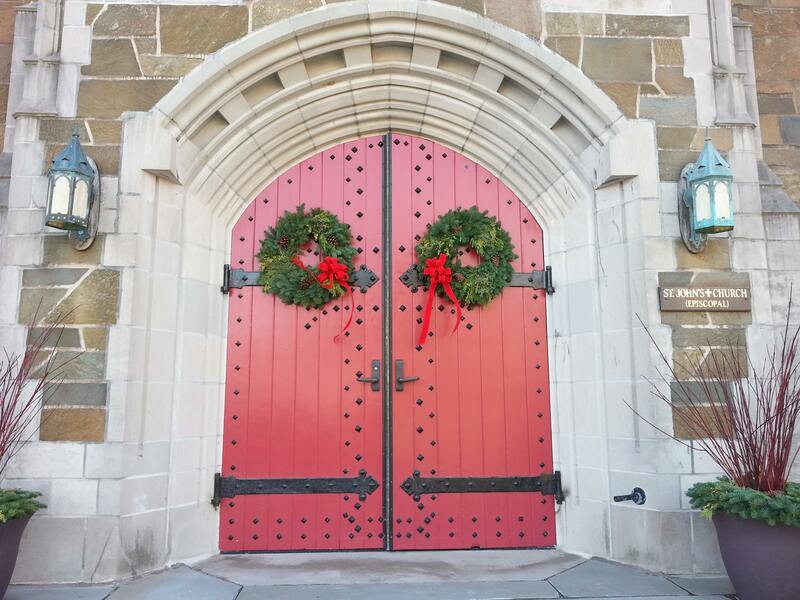 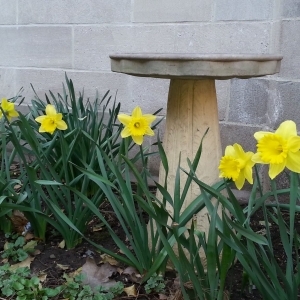 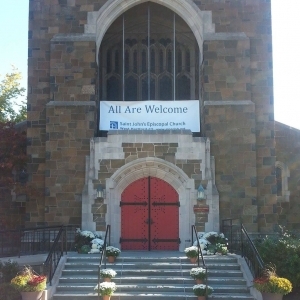 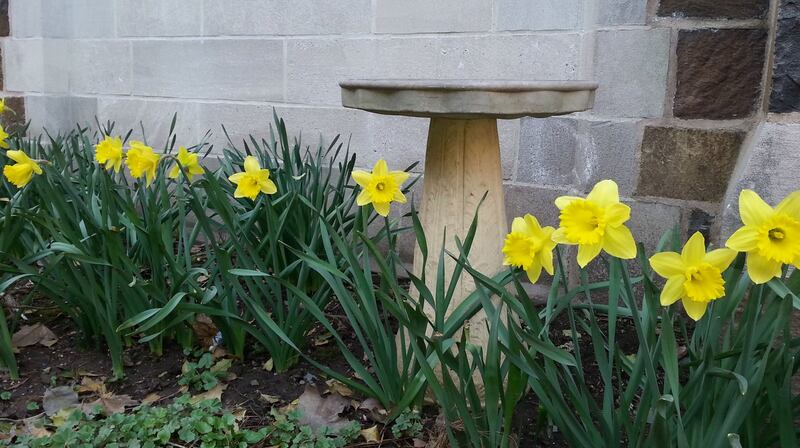 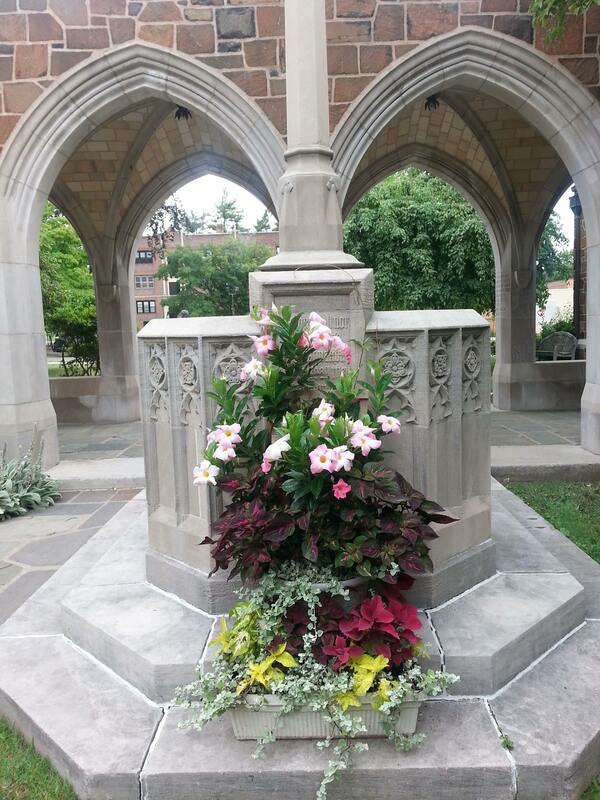 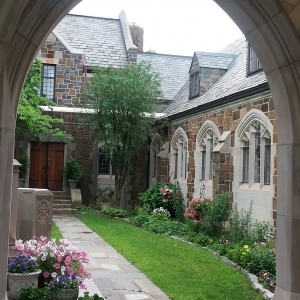 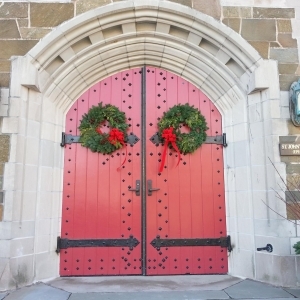 Parishoners as well as the broader communities of West Hartford and Hartford are welcome to find peace and tranquility within our walls and on our beautiful grounds. 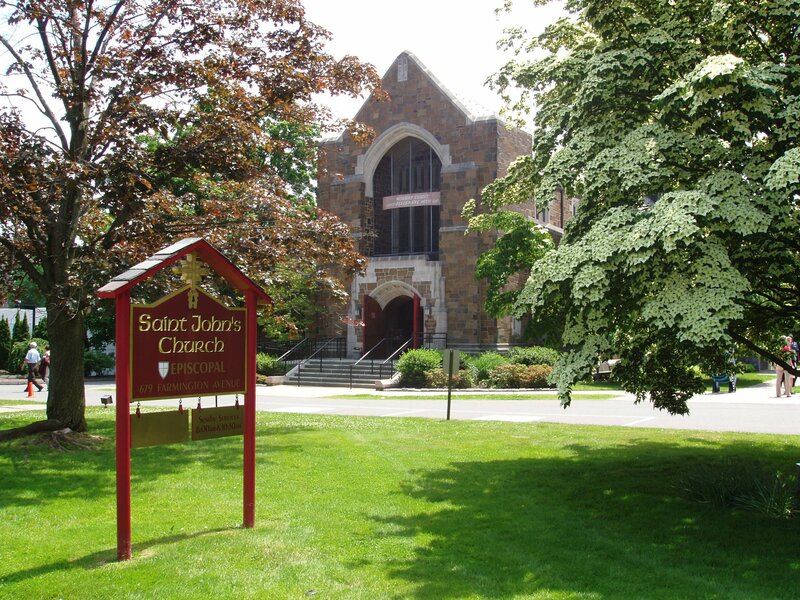 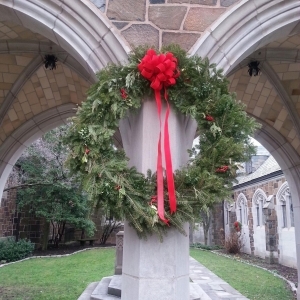 At St. John’s, we’re proud of our buildings’ history, and offer tours at designated times, such as our annual Neighborhood Block Party in the fall and our annual Christmas Festival. 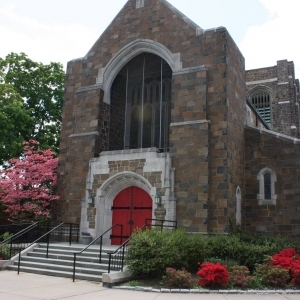 We regularly welcome groups who rent space in our facility, from Episcopal church organizations and business networking groups to twelve-step meetings and musical recitals. 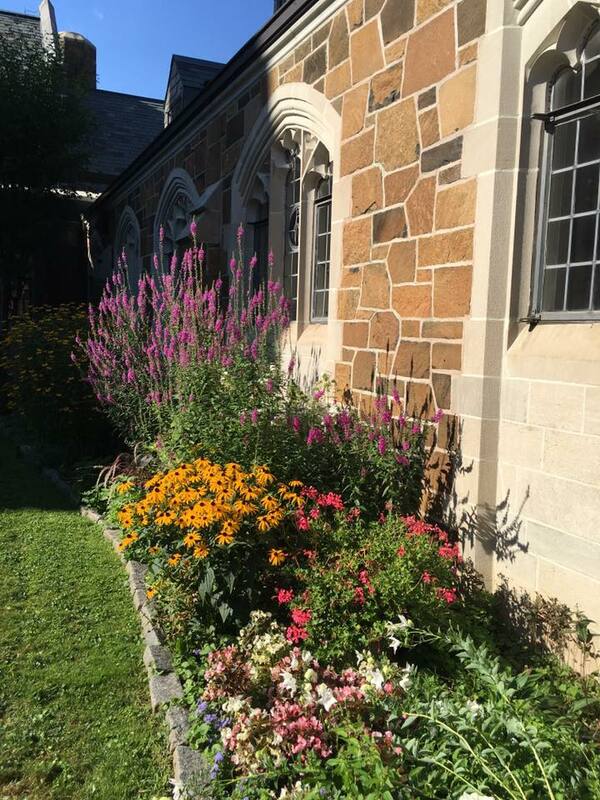 We consider the gardens of the church to be important spiritual spaces, and often find passersby resting on our benches or strolling in the garden. 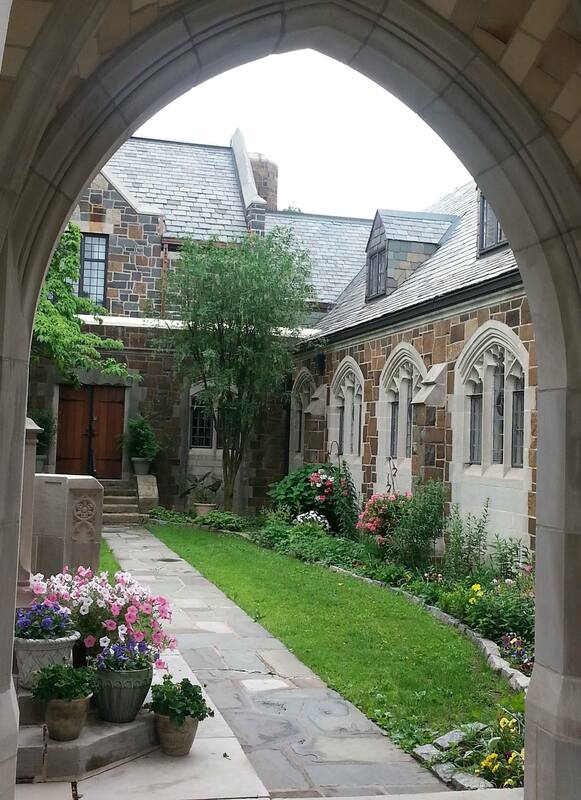 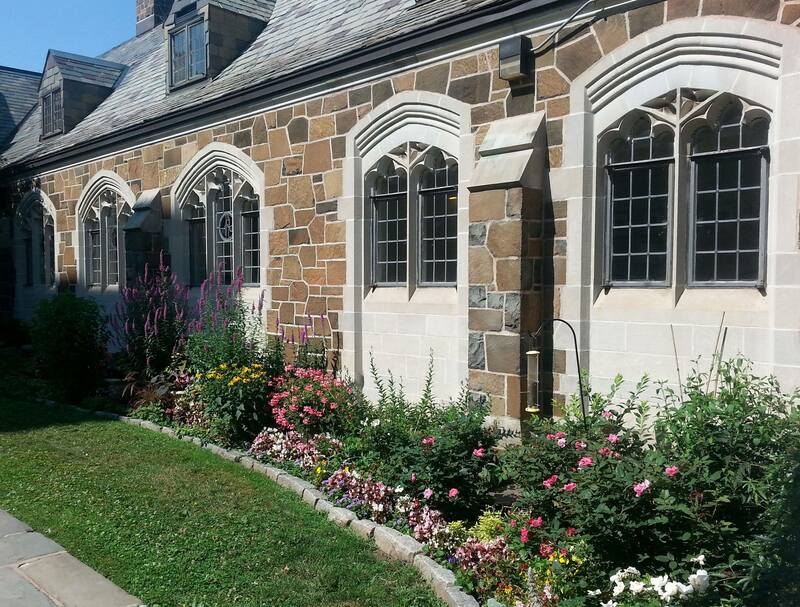 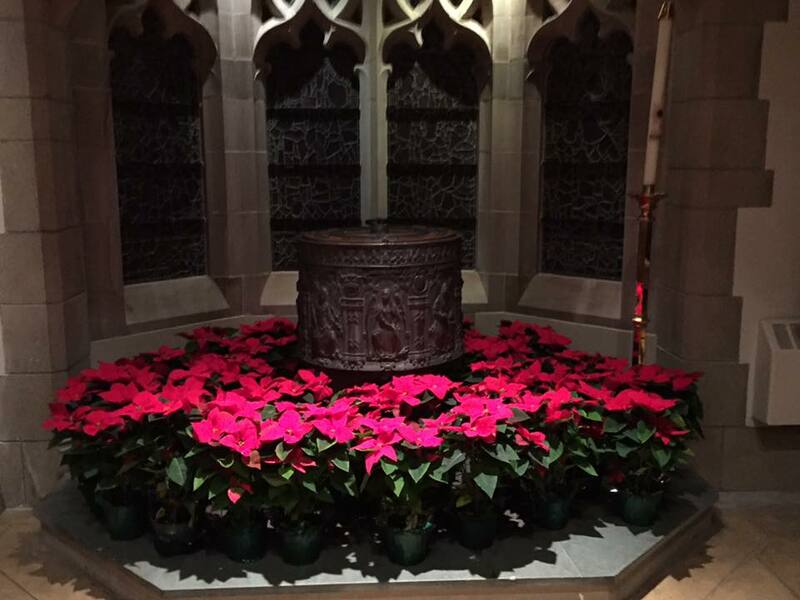 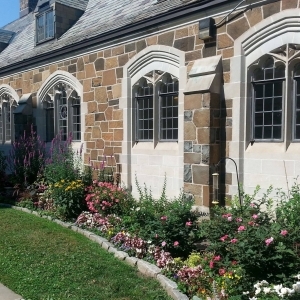 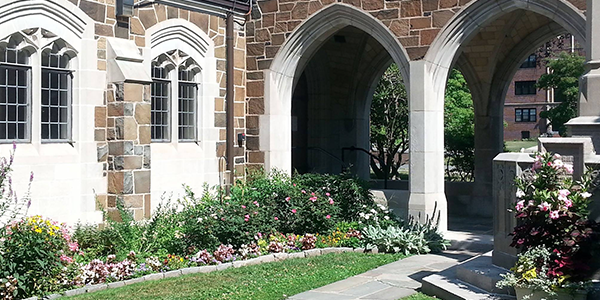 The Cloister Garden features perennial plants, shrubs and trees that make the most of every season. 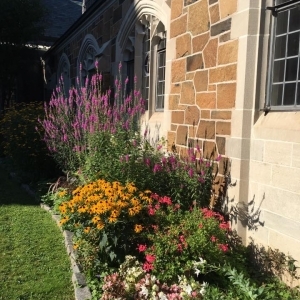 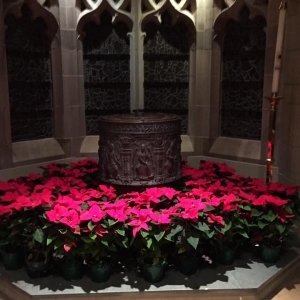 The garden serves as a memorial garden, a summer worship spot for Sunday evening services, a wintertime feeding place for the birds, and a place for quiet reflection year-round. 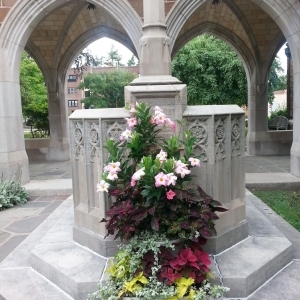 It is maintained by volunteers and supported by donations from parishioners and others.